It's Tracey here to share a new project with you. It's always fun to send little notes to our loved ones to let them know how much we care, or to congratulate them on a special accomplishment. I've created a set of note card holders just for that purpose. I've cut the holders and coordinating note cards from the Prima Romance collection and decorated them with gorgeous Leaky Shed Studio chipboard. This first note card holder has a steampunk image, so I added one of the LSS crosses from the cross set. I heat embossed with with the wonderfully textured Fran-tage Aged Black Embossing Enamel. Each of these holders was fussy cut from design sheets from this gorgeous Prima paper, then scored and folded. Edges are inked in Walnut Stain Distress Ink. 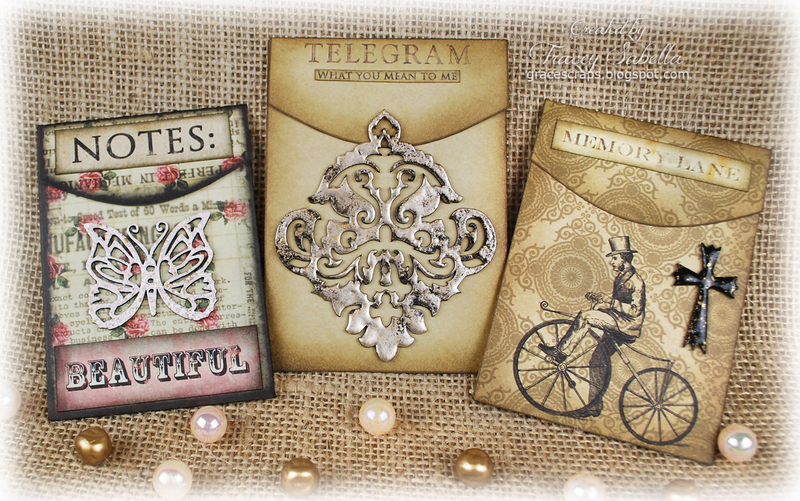 For each of these holders I cut out and inked additional sentiments like the Beautiful and Notes sentiments on this one. 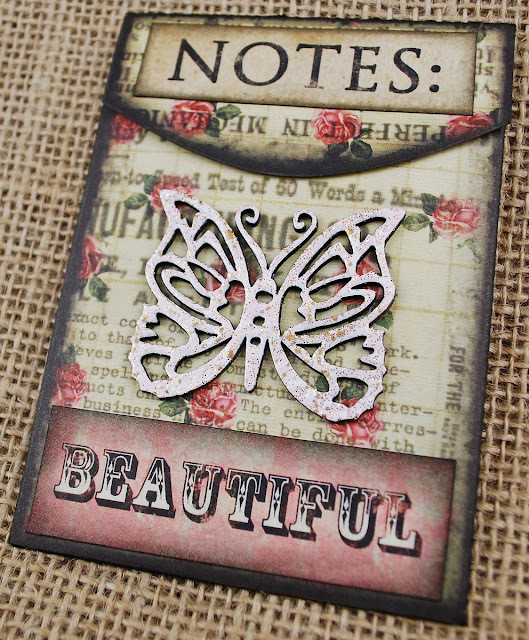 The Leaky Shed Studio Butterfly was heat embossed with Fran-tage Shabby Pink Embossing Enamel. Inking for this holder is done with Black Soot Distress Ink. 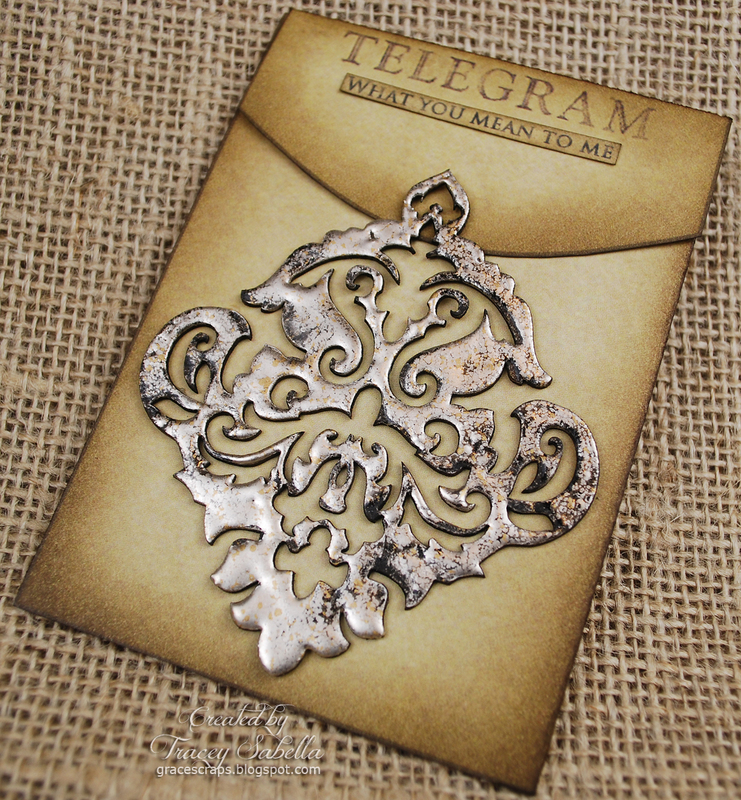 This chipboard piece is the new Damask design that is an upcoming release. Don't you just adore the intricate detail? 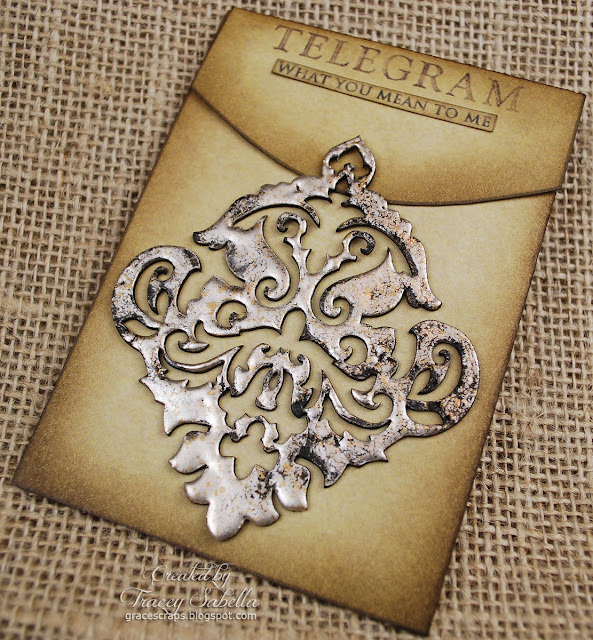 It's also heat embossed with Fran-tage Embossing Enamel in Aged Silver. 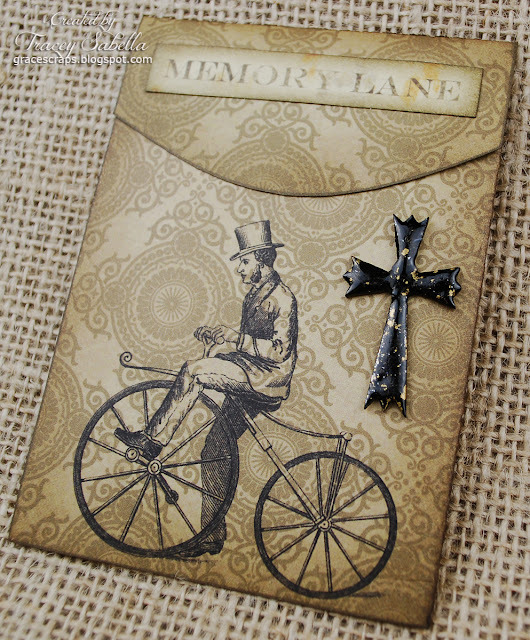 The top part of the chipboard is not glued down so the envelope tab can be tucked underneath. I went back to the Walnut Stain Distress ink for this note holder. You may have noticed that I have not included much dimension with flowers and other embellishments so that they will be easy to slip into an envelope and send on their way, but still have so much elegant and gorgeous dimension with the lovely dressed up chipboard. on my blog, Garden of Grace, on Tuesday. 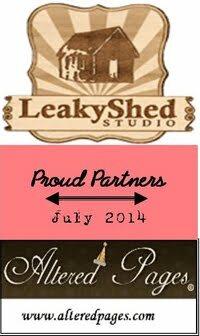 I hope you've been inspired to add some Leaky Shed Studio chipboard to your next project! Be sure to stop back tomorrow to see a fabulous layout designed by Maggie Harding. Tracey these are stunning and love the vintage flair. These are absolutely GORGEOUS!! LOVING the colors and textures!!!! Wow, these are absolutely gorgeous, Tracey!! I love the designs!! They look amazing!! You did great! These are so beautiful and I like how there appears to be other colors within the embossing. These are so vintage-y! Love them! Only one more sleep til Christmas here. Family comes tomorrow at noon! can't wait!